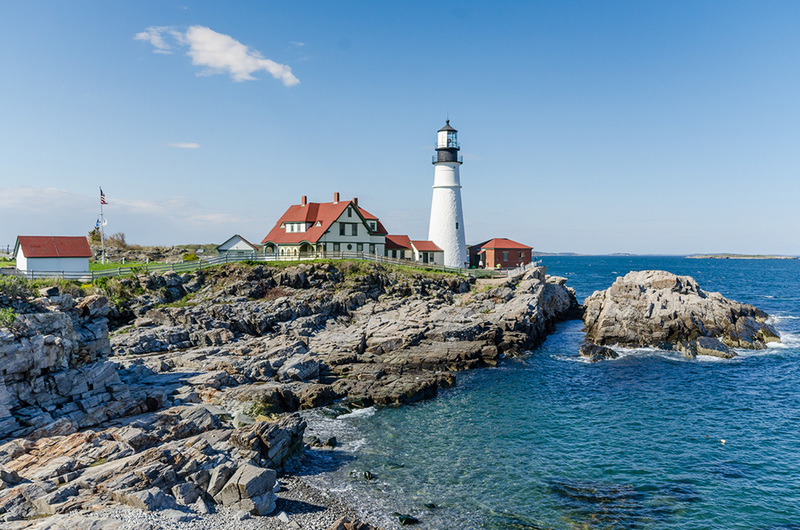 One of the most iconic images of Maine is that of the Portland Head Light. This lighthouse was completed in 1791 and sits on a head of land at the main entrance to the shipping channel into Portland Harbor. The lighthouse is located within Fort Williams Park (free to enter) and is a great place to explore, have a picnic, and just enjoy the beautiful Maine scenery. And the best part is that we now live here and can see it anytime we wish!